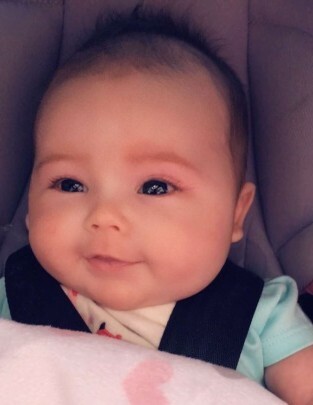 Baby girl Ava Lynn Capps, daughter of Kenneth Wesley and Brittany Hudson Capps, passed away on Monday, May 21, 2018. In addition to her parents, Ava Lynn in survived by her brother, Bentley Capps; sister, McKenzie Capps; and many other family members whom loved her to pieces. A graveside service will be held at 12:00 noon Friday, May 25, 2018 at Oaklawn Cemetery. The family will receive friends after the service by the graveside. Pope Funeral Home is assisting the Capps family.